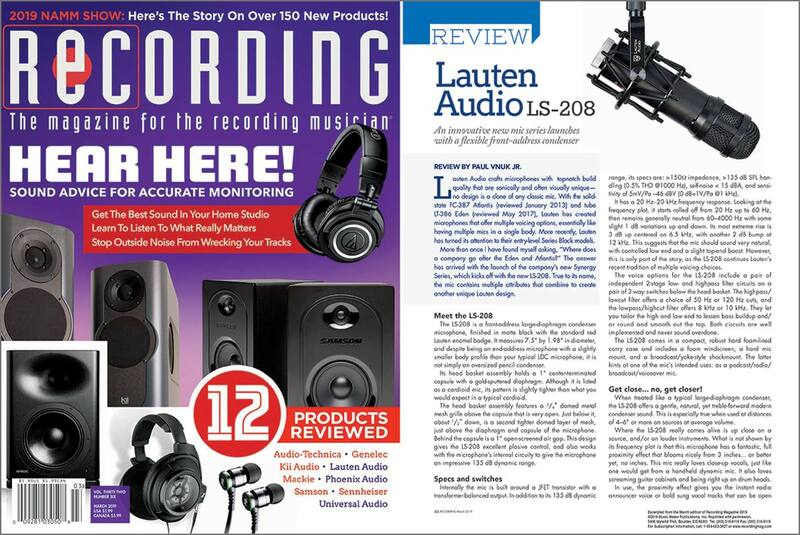 Recording Magazine tests out the Lauten Audio Synergy Series LS-208 microphone on drums, guitar and vocals. Having made their name as a studio recording specialist, Lauten’s newest microphone is a slight departure from the company’s usual brand of LDC condensers. Unlike the premium Signature Series, or the cost-effective Series Black range, the new Synergy Series is designed primarily with isolation in mind. 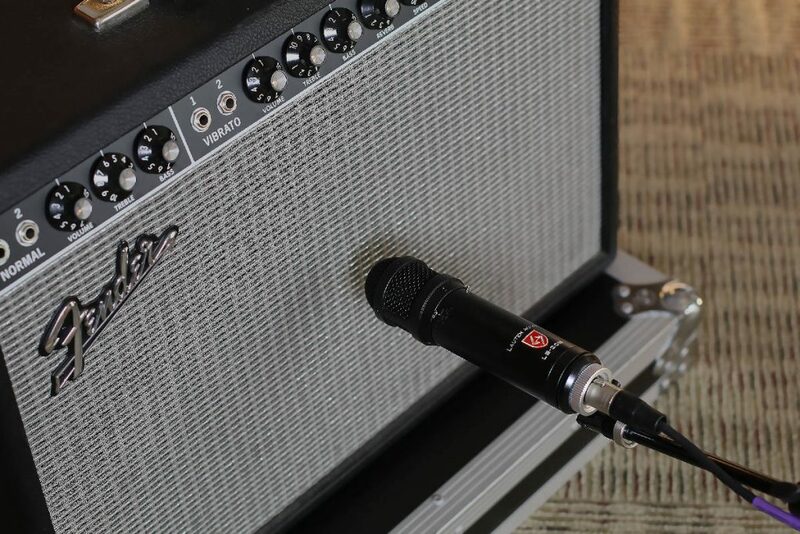 A large-diaphragm condenser capable of withstanding extremely loud volume levels (handling up to 135dB of SPL), the LS-208 is also a highly versatile microphone, lending itself well to a range of instruments like drums and guitar cabinets, not to mention vocals. Read the full review here. 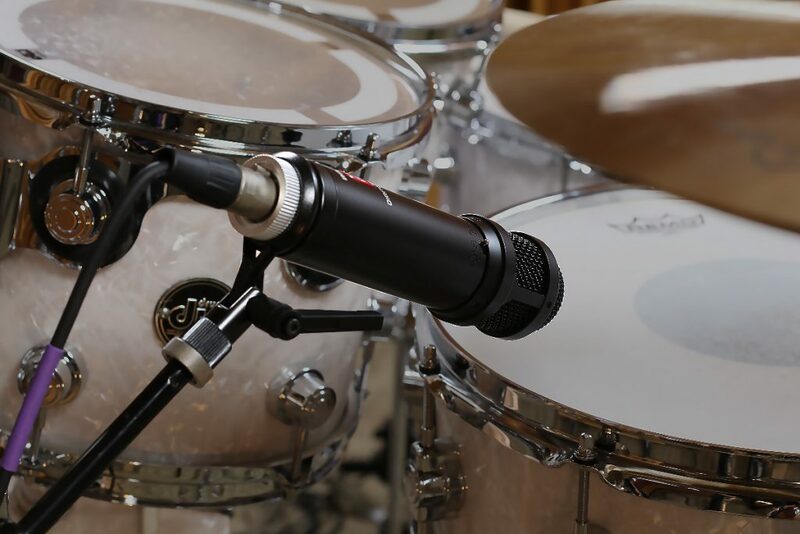 If you’d like to know more about the Lauten Audio LS-208 microphone, visit the overview page. For more professional audio related news and reviews, visit the Recording Magazine website. The Lauten Audio LS-208 is a front-address, large diaphragm condenser voice and instrument microphone. Combining excellent versatility with the recording quality of high-end studio microphones, the LS-208 captures the brilliance and expressiveness of any source, whether in broadcast, sound reinforcement, or in the recording studio. Features include a wide frequency response, with a full 120dB of dynamic range and 135dB of SPL handling, without the need for attenuation. Excellent off-axis rejection provides incredible focus, and fantastic reduction of bleed in multi-source live environments. Constructed from high-quality components and outfitted with frequency shaping high and low-cut filters, the LS-208 comes equipped with a spider shock mount, a hard mount for tight spots, a foam windscreen to protect from plosives, and a rugged road case housing all these accessories.